We’ve put together a glossary of terms you may encounter either on our site or in aviation in general that we hope enriches your flight tracking experience. We’ll be continuing to add terms to this post, so check back often. If there are missing terms you think we should add or terms you have questions about, please contact us on Facebook or Twitter and we’ll do our best to answer. A number assigned in the airline’s schedule to denote a particular flight or flights. Callsigns are used by Air Traffic Control to denote a specific flight. These can differ from flight numbers in two respects. Some airline radio callsigns are different from the airline’s name, either for reasons of history or for easy understanding over the radio. Additionally, in recent years, flights have begun using alphanumeric callsigns in order to avoid “call sign confusion”. 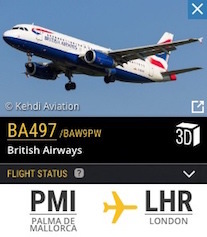 For example, flight number British Airways 123 would use the callsign Speedbird 1PW, where “Speedbird” is the radio callsign and 1PW is the alphanumeric callsign. This helps avoid confusion over the radio, where two British Airways flights with similar numbers may be talking to the same air traffic controller. Each aircraft is assigned a registration number—often called a tail number—that is unique to the aircraft. Registration numbers are based on the country of registration. Each kind of aircraft is assigned an aircraft type, which is a standardized name for the aircraft. Type codes are assigned by ICAO and consist of two to four letters and numbers. These type codes are often used when filing flight plans. We use these type codes on Flightradar24 for filtering aircraft. 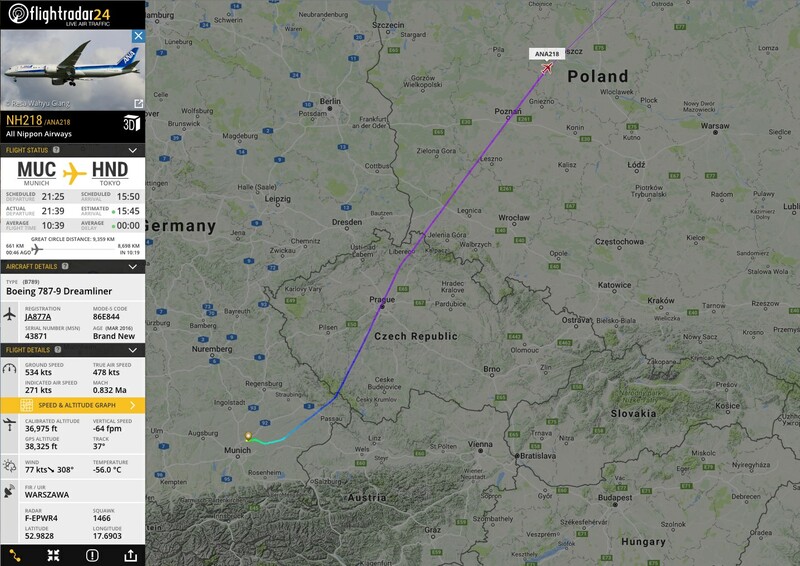 The aircraft’s age listed on Flightradar24 is from the first flight. Delivery of the aircraft to the operator usually occurs within weeks of the first flight. The exact routing a flight will take filed with air traffic control authorities, including specific waypoints the flight will pass over. Vertical speed is the rate at which a plane is ascending or descending, often shown in feet/meters per minute. Generally, vertical speed during departure will range from 1000-3000 feet per minute, while during descent, speeds can be between 600-800 feet per minute. Speed, as it relates to aircraft, is more complicated than speed on the ground, as there are different ways to measure speed in flight. The different ways to measure to speed can result in differences between the types, whereby the ground speed of an aircraft can vary significantly from its airspeed. The speed shown in the “speed” box on Flightradar24 is ground speed. Indicated Airspeed is the air speed taken directly from air speed indicator without any corrections for temperature or pressure. Calibrated airspeed is the airspeed corrected for position and instrument error and is equal to True Airspeed (TAS) at sea level. True Airspeed is the airspeed of an aircraft corrected for position and instrument error and taking pressure and temperature into account. A Mach number is the ratio of True Airspeed to the speed of sound at the altitude of a given flight. Track is the aircraft’s compass heading, denoted as 1-360. For each flight tracked on Flightradar24 the calibrated altitude reported from the aircraft, which is a pressure-derived value, is displayed. Extended Mode S data received from some aircraft also includes the GPS-derived altitude of the aircraft. Calibrated altitude values reflect the aircraft’s altitude above Mean Sea Level, a constant value used in aviation and other applications. 0 feet/meters above Mean Sea Level does not necessarily reflect an aircraft’s altitude above the ground. GPS altitude values are based on an ellipsoid of the entire earth, but are also not necessarily indicative of altitude above the ground. Automatic Dependent Surveillance-Broadcast is the main technology we use to track aircraft. You can read more about ADS-B here. Multilateration is the process of using the time difference of arrival of radio signals from an aircraft to ascertain the aircraft’s position and heading. You can read more about MLAT here. FLARM is similar to ADS-B, but used in light aircraft, such as helicopters and gliders. For certain flights, we use data from the Federal Aviation Administration’s Aircraft Situation Display for Industry. This data is on a 5 minute delay and is denoted by orange aircraft icons. For flights that are no longer in our coverage area, we may estimate their position for up to 60 minutes. These flight tracks are shown as black dashed lines. When discussing “radar”, primary radar is generally what is being referred to. Primary radar outputs a radio signal and attempts to detect any reflection of that signal from an object, such as an airplane. Secondary radar, or secondary surveillance radar, sends out a signal to compatible aircraft, which then return a signal of their own with information about a flight, such as speed, altitude, heading, and registration. A portmanteau of transmitter-responder, the transponder emits a radio signal based on an interrogation from an outside source, either air traffic control or another aircraft. Mode S is a communication protocol that allows an aircraft to communicate with secondary surveillance radar and other systems through its on-board transponder. Extended Mode S data is received directly from the aircraft and decoded for display on Flightradar24. Extended Mode S data can include additional information about the speed and altitude of the aircraft as well as weather information, such as wind and outside air temperature. Mode S transponders are assigned a unique 24-bit address, often called a hex code because of how it is generally displayed. Each flight is assigned a four digit code, known as a squawk, by air traffic control. This code is unique to the flight and helps ATC identify each flight. There are a few significant squawk codes, which immediately get the attention of air traffic control. For a longer discussion of squawk codes and emergencies, please see our discussion with a pilot and an air traffic controller. International Civil Aviation Organization is the arm of the United Nations responsible for international air navigation. ICAO performs a number of essential functions, including assigning aircraft type codes, airline codes, and airport codes. ICAO airline codes consist of three letters (Qantas = QFA) ICAO airport codes consist of four letters (Hong Kong = VHHH). These codes differ from IATA codes as discussed below. The International Air Transport Association is a trade organization made up of the world’s airlines and has influence over the commercial aspects of flight. For flight tracking purposes, the two most important pieces of information are IATA airline and airport codes, which are two and three letters long, respectively, and differ from ICAO codes. The Cockpit Voice Recorder records all noise on the flight deck, including pilot conversation, on a continuous loop, and is used as a forensic tool in the event of a crash or other serious incident. Flight Data Recorders record a variety of flight parameters on a constant basis and are used as a forensic tool in the event of a crash or other serious incident. Taken together, the CVR and FDR are informally known as the black boxes, though in point of fact, they are bright orange. A Traffic Collision Avoidance System allows aircraft to communicate if equipped with a compatible transponder in order to prevent a mid-air collision. The TCAS warns pilots of traffic in the vicinity and can issue directives to help pilots maintain separation if flights come too close to one another. Air traffic controllers are responsible for the safe coordination of flights from departure to arrival. Geographic areas of air traffic control responsibility. NOTAMs are issued by aviation authorities to alert pilots to hazards or other important information they need to navigate the area safely. A METAR is a specialized form of weather reporting used mainly in aviation. METARs are standardized by ICAO and follow a specified format so that they may be understood easily by pilots around the world. Terminal Area Forecasts are similar in format to METARs, but are issued for future periods. When a landing approach cannot be completed safely for any reason, an aircraft will initiate a go-around, which generally includes climbing to a pre-specified altitude and holding point while awaiting further instructions from air traffic control.